Rachel was just 12 years old when she was sent away from her home in Kenya to live with her grandparents and attend an English boarding school, after her mother died. Six years later, Rachel is eagerly anticipating her return to her beloved home, even though there has been little to no communication from her father in all the time she has been gone, and he has even attempted to stop her from returning altogether. Upon her return, Rachel finds nothing is the same as it was when her mother was alive – the joy in the openness of the land, the sense of community and belonging with the Kikuyu and the shared relationships with one another working on her father’s farm. Now, a new woman, someone very opposite to her mother, is living with her father. There is also a heightened sense of fear about the ever encroaching danger of the Mau Mau and their recruitment of the Kikuyu to overthrow the whites. Rachel finds she is trapped in trying to live in her fond memories of the Keyna and the people from her childhood or in accepting the hateful changes brought on by this new woman, Sara. The “them vs. us” mentality and Sara’s despicable treatment toward the Kikuyu people, whom Rachel’s mother worked so closely and openly with, challenges Rachel’s loyalty and love for her father. Does she remain loyal to the people she so loved as a child, or does she submit to her father and Sara’s demands (a woman very easy to despise). What I felt was going to be a predictable part to the story – the one described as a “covert relationship” and “gross act of betrayal” by Rachel turned out to not be as straightforward and predictable as expected. Yes, Rachel becomes involved with Michael, the African man that taught Rachel when she was young, but who is now relegated to working as a mechanic, no longer trusted near the house as he was when Rachel’s mom was alive. 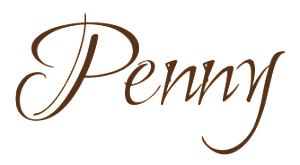 Their relationship is fleeting, and the number of occurrences it happens, is almost superfluous to the story – yes it has dramatic consequences for Rachel, but it is not really the major crux of the story, or the danger that Rachel is faced with. Rachel witnessed an event before she was sent away, that only Michael knows about, and it involves a dangerous and lecherous man, Steve Lockhart. Lockhart has now been given almost a leadership role in Rachel’s father’s home, owing to Sara. He is a very dangerous and vile man, and his agenda is one he will stop at nothing to advance. Rachel is unfortunately involved and Lockhart is intent on destroying and intimidating Rachel. Overall, Leopard at the Door is very good and leans more to great over the others I’ve read lately. That is due to this being such an intense read. Many of the books I’ve read lately have been very good, but just have a little something missing to make them excellent. 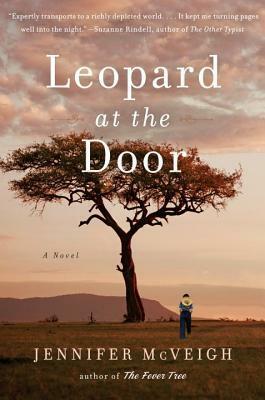 Leopard at the Door is indeed better than just an overall very good, even though some of the characters infuriate (Rachel’s spineless and distracted father, and a few characters that are only briefly presented, etc.) and the brevity of the relationship between Michael and Rachel makes it a little lacking. A recommended read however as the danger Rachel finds herself in and the political and historical aspects of 1950s Kenya make for an intense read. I’m not sure this would be a great match for me, but I enjoyed reading your thoughts on it. It’s a pleasant surprise when something you’re expecting to be a little light turns out to have considerable substance and leaves you feeling thoughtful. There was much to be thoughtful about yes, but you’re right, it wasn’t quite as light as I first imagined.